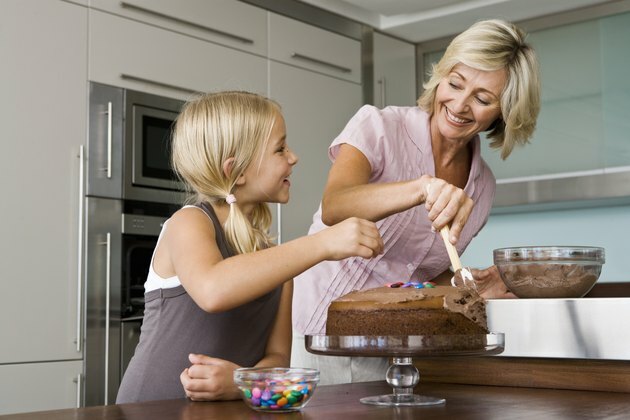 Most baked goods rely on a handful of ingredients, including milk, eggs, sugar, flour and butter or oil, and each of these items plays a vital role. Milk has several roles in baking beyond just moistening a batter or dough. Milk adds structure to a batter so it doesn't collapse in the oven. Milk can also give baked goods their crisp crust. Baking a cake or bread is akin to building a house. 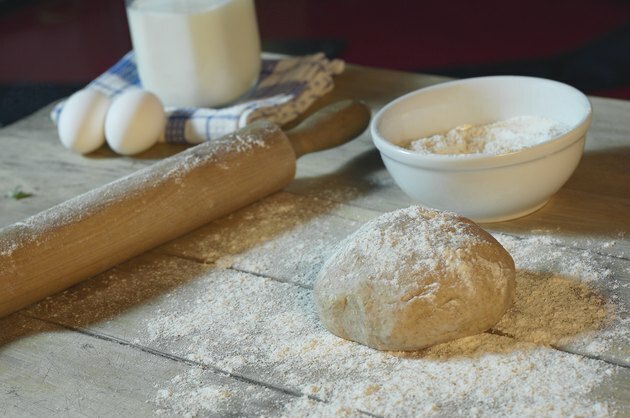 Some ingredients, such as flour, egg whites and water, form the foundation of the baked good, giving it structure and strength. Other ingredients, including sugar, oil and egg yolks, add the aesthetics that make a baked good truly satisfying. These ingredients add tenderness, flavor and moisture to the baked good. Milk -- and in particular, whole milk -- perform both functions. 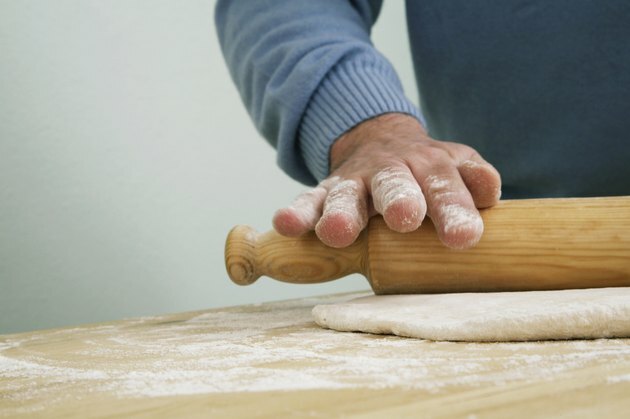 The protein in milk creates a strong batter or dough, capable of rising and withstanding the rigors of baking. The sugar and fat in milk help tenderize and moisten the baked good, while adding flavor. Sugar is also the ingredient that creates a golden brown crust on baked goods. Skim milk has no fat, making it the favored choice for those on a diet, but most baking recipes that call for milk were designed for whole milk. 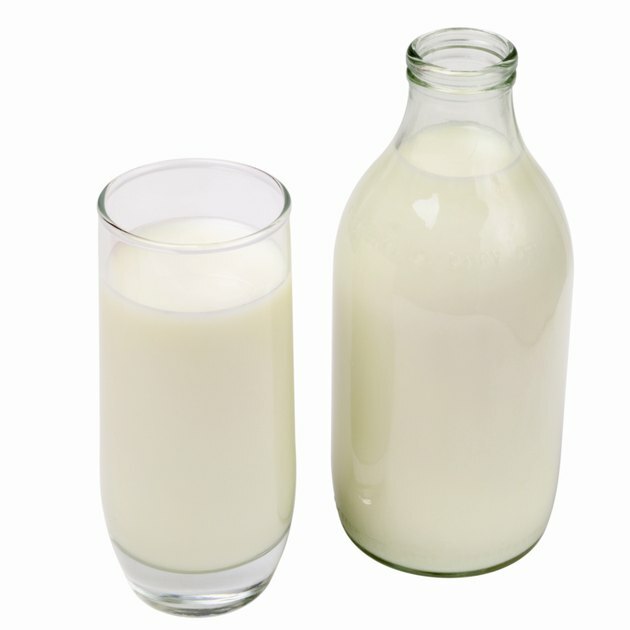 One cup of whole milk has 3.5 grams of fat -- a relatively small amount -- but enough to increase moisture and tenderness. In most cases, you can substitute low-fat or skim milk for whole milk, but pay extra attention to how you prepare the batter. Combine dry ingredients and wet ingredients separately before you mix them together and use a light hand so you don't further toughen the baked good. Just because a recipe calls for milk, doesn't mean you have to use it. You can substitute goat's milk or sheep's milk in most recipes, as well as dairy-free alternatives, such as soy milk or almond milk. Regular, low-fat yogurt makes a healthy stand-in for milk or you can use evaporated milk or fruit juice. Use these substitutes at the same ratio that you would use regular milk. Be sure to use a plain, unflavored milk substitute. You may notice a difference in taste or texture when making substitutions, but in most cases, the difference will be small. How you use milk matters, too. 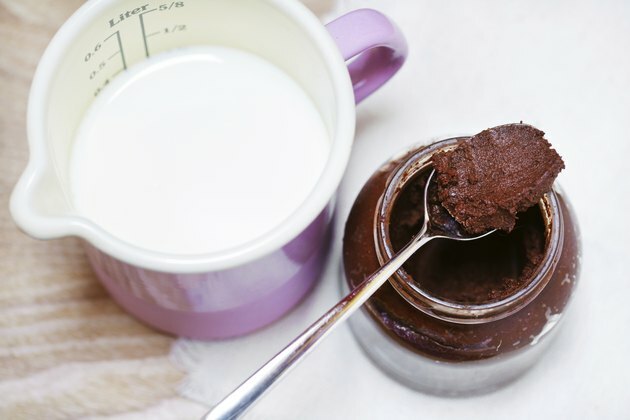 Cake recipes sometimes call for ingredients, such as milk, to be at room temperature. This allows the butter, sugar and eggs to come together more smoothly, creating an emulsion that traps air bubbles and makes a tender cake. If you're making biscuits, you'll want the milk and other ingredients to be ice cold. Ice cold ingredients are the secret to flaky layers here. In yeast breads, a recipe may call for the milk to be warmed almost to scalding. This high temperature encourages the yeast to dissolve and start the rising process.